Lightweight in-line air buffer creates high torque at a low RPM which is necessary when buffing. Slow 2,600 RPM will buff or polish without burning or damaging the finish. Use with shank-mounted buffing bobs, goblets, or buffs. 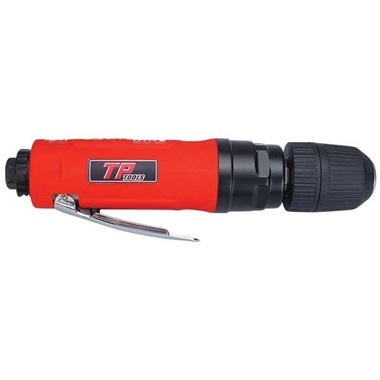 Has 3/8" keyless chuck. Requires 3 cfm @ 90 psi. 1-3/4" wide, 1-7/8" high, 8-1/2" long.